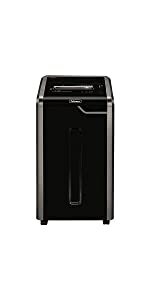 The black & dark silver Powershred 99Ci Jam-Proof Cross-Cut Shredder from Fellowes quietly enables safe and efficient disposal of confidential documents. Insert up to 18 sheets at a time into the paper entry at the top of the Powershred to reduce them into 0.16 x 1.5″ cross-cut strips. 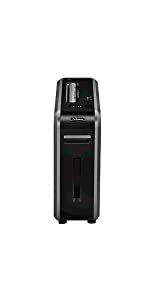 The Powershred 99Ci is tough enough to cut through staples, credit cards, paper clips, CDs, and DVDs, and can shred continuously for up to 30 minutes before a cool down period is needed. The 9-gallon bin allows for mess-free waste disposal. Relief from the number one shredding frustration. The 99Ci eliminates paper jams and powers through tough jobs. It’s anti-jam system auto stops and reverses the machine when too much paper is inserted. Designed with safety in mind your shredder will automatically disable when hands come into contact with the opening, stopping the cutters immediately. Built for quieter shredder performance, this feature minimises noise disruption in shared workspaces. Environmentally conscious and economical. This feature reduces in-use energy consumption and powers your machine down after periods of inactivity. 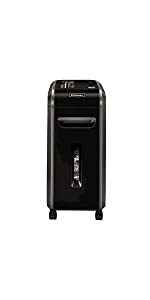 Ideal for your small office and 3-5 users, this deskside shredder can shred continuously for up to 30 minutes and shreds up to 18 sheets per pass. The 99Ci shreds paper into 4x38mm cross-cut particles (Security Level P-4) so you can be sure that your confidential work documents have been disposed of securely. 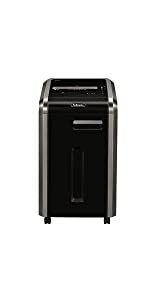 We understand that a shredder is not just a purchase. It’s an investment. That’s why Fellowes drives quality assurance to exceed expectations. Prior to launch, all Fellowes shredders are subjected to extensive field and laboratory tests, including our proprietary continuous abuse test and long-term wear. These tests simulate years of abnormally high use to ensure our products perform reliably, even under the most demanding conditions. The Fellowes 99Ci is built to last with solid steel cutters, a powerful motor, and parts that are engineered to outperform our competitors. 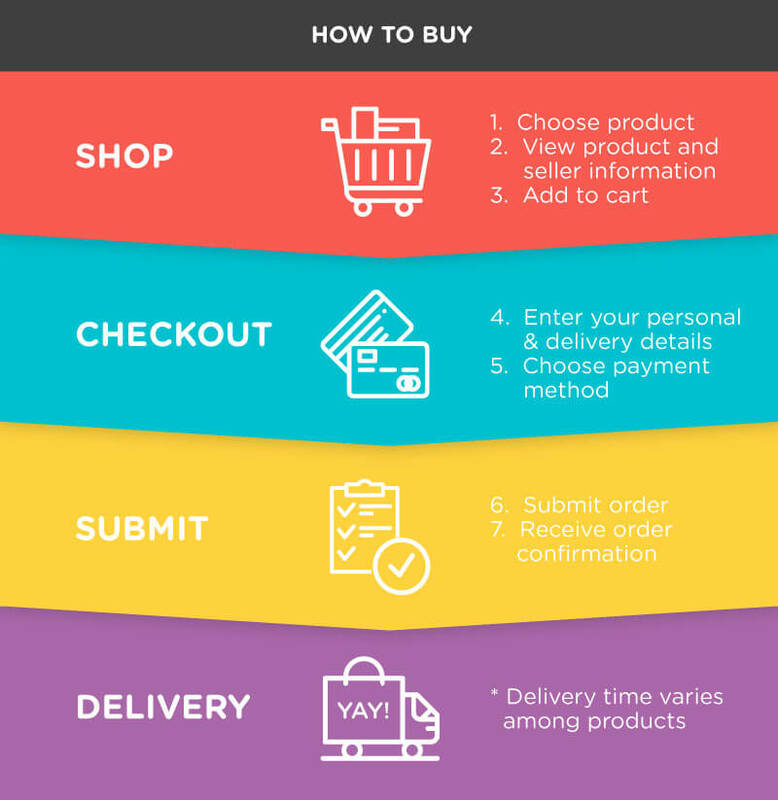 With its cross-cut capability, it is also tough enough to cut through credit cards, paper clips, staples, and CDs/DVDs while ensuring confidential documents are shredded into unreadable pieces.